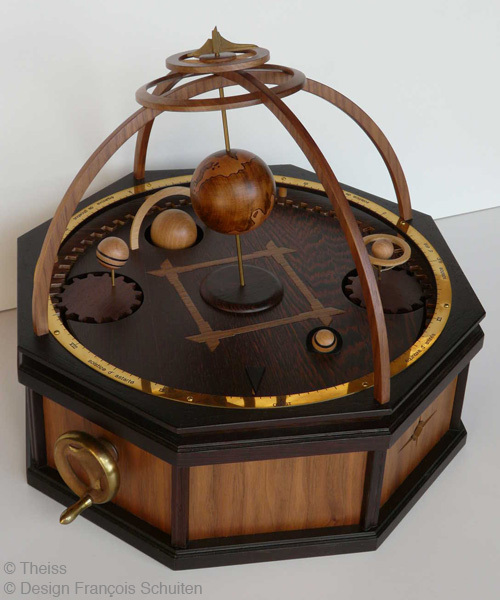 Le Planétaire des mondes obscurs is obscure object made in a limited edition of 24 copies by Karl Theiss and François Schuiten. The frame is in wengé and in walnut. 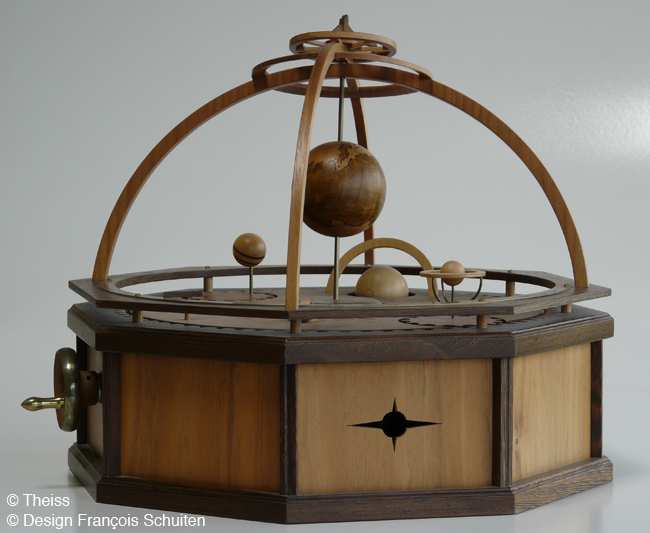 The satellites are in beech, ash, walnut and ebony wood. 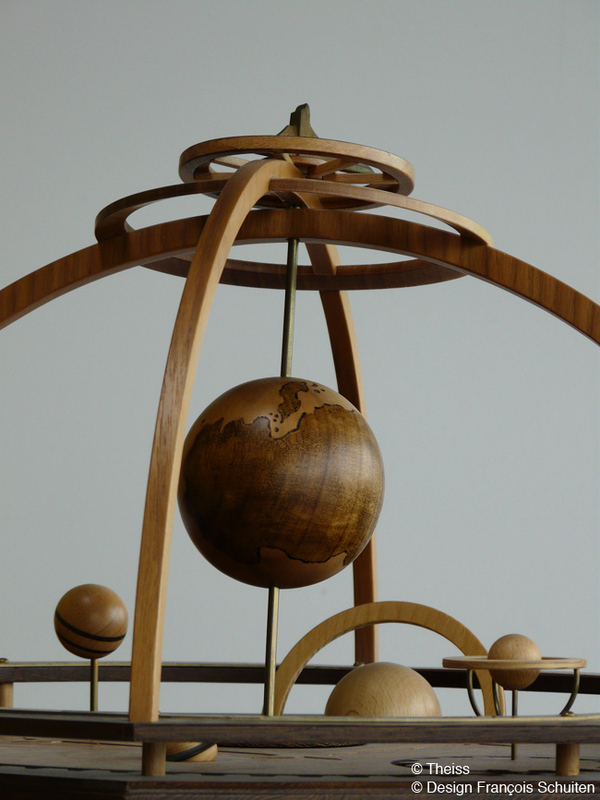 The planet is in apple wood. The hand wheel, needle and driving mechanism are in brass. The object dimensions are 46 x 41 x 41 cm.